Hi, this is Tom from InnoCraft, the company of the makers of Matomo Analytics (formerly Piwik Analytics). Do you hate losing your visitors on your online or intranet forms and leaving revenue on the table? If you feel like us, we have got you covered. Form Analytics gives you all the insights you possibly need to increase your form conversion rates with 100% data ownership and no limits. Whether it is a landing page, sign-up form, checkout, cart, squeeze page, feedback form, survey, or a job application form. Online forms have become super critical to all businesses. The problem is, you can only improve what you measure. Otherwise, you never really know what to change on your forms, and whether you make things better or worse. -> Read the rest of the story on the Form Analytics Marketplace page. 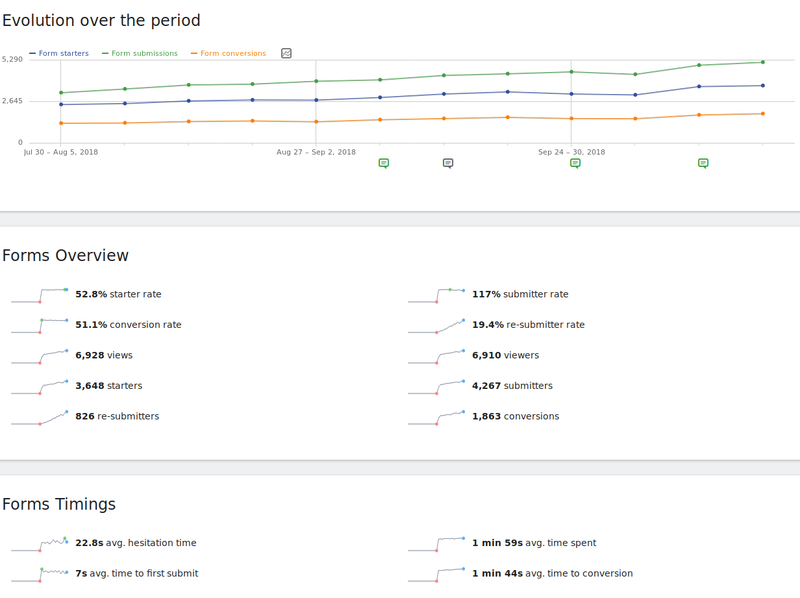 What does the new Form Analytics reports look like? Form Analytics adds over 50 new metrics, 15 new reports & widgets, new real time reports, new segments and more to your Matomo (Piwik). Where do I get Form Analytics? Form Analytics is a premium plugin for Matomo (Piwik) and comes with our 14 day money back guarantee and 1-click installation & updates (all product updates come for free). You can also signup for a free Matomo Cloud (formerly Piwik Cloud)-hosted trial to discover the power of Form Analytics!